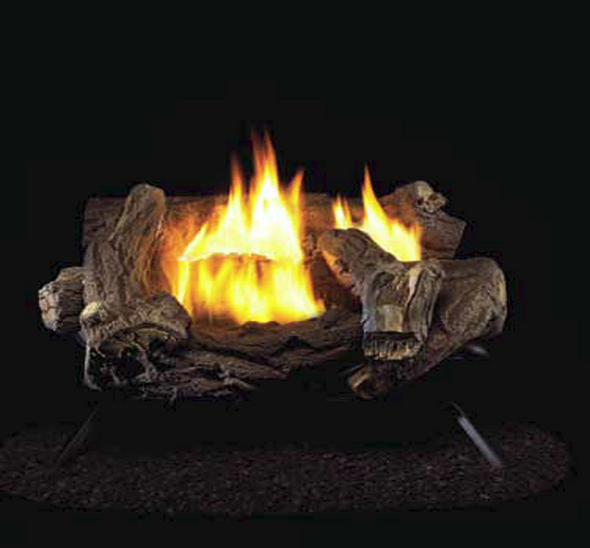 Hearth Master's Hickory ventless gas logs feature a clean burning flame and the beauty of handcrafted logs that create a realistic, wood burning ambience in your own home. 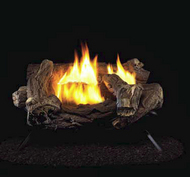 Hearth Master ventless gas logs are an affordable way to provide effective zone heat to a room or space and can also provide heat in an emergency. The Hearth Master Hickory Log Set is available in an 18" or 24" size with a manual control valve. RW-WZ-24HLA 34" 14" 25.5" 20.5"
Ventless-Gas-Logs service is great. From them moment when I submitted my order on-line until I received it (2 gas log sets), I was given all the details, knew exactly where it was and when I would receive it. Easy instructions and final install looks great. 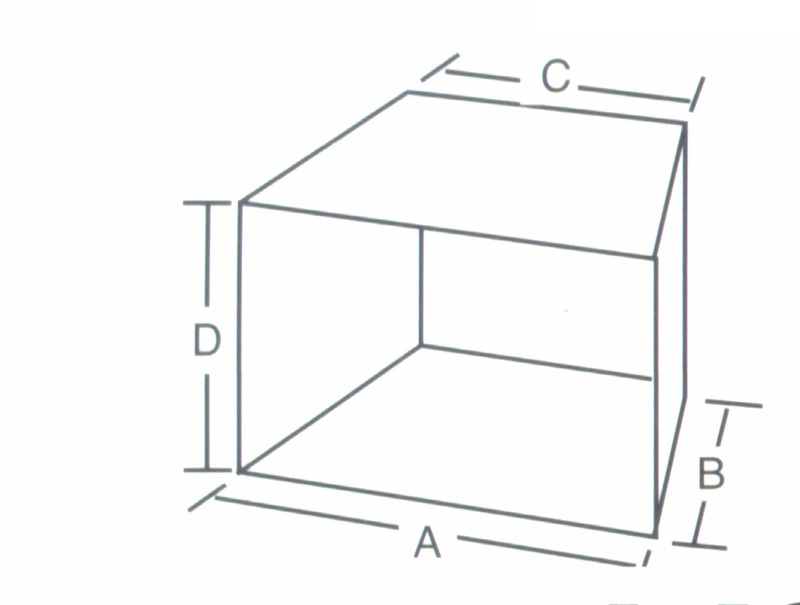 Only wish you could choose which side (left or right) for the gas intake valve on the unit. I have 2 ventless fireplaces with the gas line on opposite sides. So I need a 6 inch hose on one and a 3 foot hose on the other. Good price, quick delivery as soon as Fed Ex figured-out where I lived), easy set-up. Jan. 3, 2013 My ProCom logs arrived several days ago; and they were installed yesterday by our local gas company. Every thing is working and I am very pleased with the product. Thank you for quick and professional service. I look forward to enjoying my fireplace this winter and for many years to come. This is an excellent product for the price. They look very nice and work well, and installing them was fairly easy. they smoke and smell bad when first lit which made the smoke alarm go off but after about 2 hours they were fine. These put out alot of heat for a small room. Very good buy.